I was trying out a new recipe for S'mores Cookies this morning when my day suddenly took a supernatural turn. No, my marshmallows didn't start to howl or clink chains around... but I did have to halt my baking session to accommodate a chat with a prophet. It's been a while since conducting interviews with celebrities was a part of my regular routine, but after more than 20 years of doing it, it should be a pretty comfortable process - right? Let me clarify something here... I'm a fan first. When the opportunity arose to interview a member of the "Supernatural" cast, I was equally excited for both my professional self and my inner fangirl. As luck would have it, this cast member was none other than Osric Chau. Call me biased, but I find Osric to be immeasurably intriguing. Yes, I admit to a little moment of "squee". 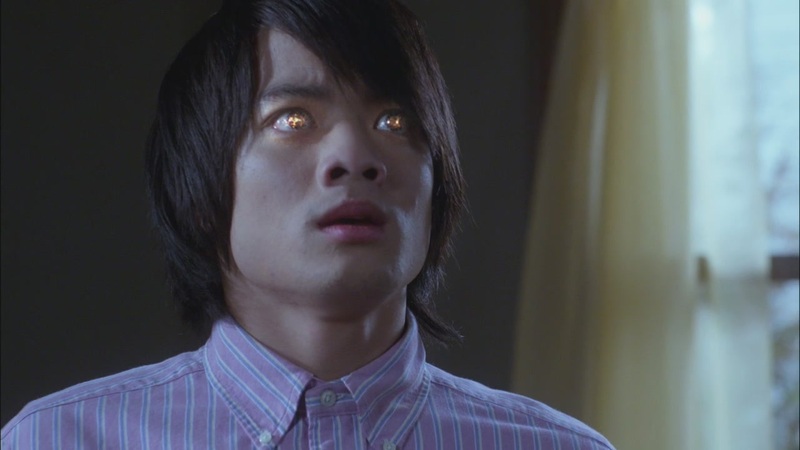 Though he has numerous credits to this name, Osric launched to mainstream fame as the unassuming honor student-turned-prophet, Kevin Tran on the hit CW series, "Supernatural". It didn't take long for fans of the series to embrace both Kevin and Osric, and he has happily and humbly accepted the rewards and responsibilities of being one of the most beloved members of the "Supernatural" family. Long before he even considered translating the Word of God as Kevin, Osric had aspirations and training guiding him in a different direction. "When I was young, my mom put me in as many activities as she could", and one of those activities involved learning the art of acrobatics and circus-style performance. "Juggling was one of the ones I was pretty good with. Stilts I got pretty good with... trampoline, tumbling, unicycling. That was a big part of my childhood". I was already impressed when I discovered his juggling talents, but the unicycle takes the cake. How they failed to fit that talent into "Supernatural"... talk about a missed opportunity! From there, Osric spring-boarded into a variety of physical pursuits, developing a passion for sports, martial arts, and eventually stunt work. "My first love was athletics. When I realized that Power Rangers and Teenage Mutant Ninja Turtles weren't real jobs, I wanted to be a professional wrestler. Anything physical. I started working out when I was 8 years old. This was due to bullying, and I wanted to be stronger. It just became a big part of who I was. When I was 13, I started doing martial arts, and through that I started looking into the stunt industry, and I really wanted to be a stuntman". If the wind had blown in a slightly different direction, Osric may have wound up following a different path. "I was a martial artist first. I was very competitive. I made the Canadian National Team for Wushu. I did a semester at the Beijing Sports University. That was my life. Acting wasn't really on the radar. It was just an activity that I did." The shift came in high school - "I went to a very academic school, so a lot of the sports programs weren't very well funded or available at all". He admits that things could have gone very differently, but "I became president of the student council and teaching guidance classes for anti-bullying". While some sports were not so readily available, he remained active in martial arts and even began doing stunt work. "It just slowly transferred into acting". It was through his experience in martial arts that he landed his first big acting role. He chalks this up to the fact that he could do his own stunts. "I was the perfect guy for this one production, and it snowballed into other things. I wouldn't be an actor if it weren't for my stunts and athletics background, for sure". When I mentioned his credits on various shorts in producer and director roles, his immediate explanation was - "I like to be well-rounded". But when he elaborated, I really got a sense for Osric's professionalism. "One of my greatest loves about film making is that it's a collaboration. I feel that the more I know about someone else's job, the more I can help them along, the more I can just make the process smoother - more efficient". For an actor to consider knowledge of lighting, camera lenses, angles, and the like to be as much their responsibility to understand and accommodate, it speaks volumes to their work ethic. And right after he earns that respect, Osric reveals himself as a genuinely thoughtful person as well. There's another reason why he wants to increase his production knowledge. "As an actor, you're waiting so much. You're waiting for auditions, you're waiting for callbacks. As a minority actor, I'm waiting for someone to write a role that could possibly be played by someone like me. It feels like wasted time for me. I want to be the one who initiates. I want to get projects going. I want to develop, I want to produce, I want to make things happen, and provide opportunities for other people who might be waiting." Just like that, it comes back to giving back and thinking of others. I've read interviews where Osric has mentioned a movie that resonated with him deeply - Pay it Forward. He truly has taken the film's message to heart in so many ways. This was only one example, but I saw so much of that mentality interwoven in so much of what we discussed. His generosity and genuine heart were obvious when we made it to the topic of GISHWHES. I temporarily removed my inquisitive hat for a moment as I felt like I was comparing memories with a fellow marathon runner after a grueling meet. Last year, Osric was merely lured in to assist on a few items for a friend's team. 2014 marked his first real run through the rigors of Misha Collins' insanity. I was anxious to get his opinion as an official GISHer. For those who don't know, Osric was dishing out the kind-hearted surprises long before registration even began! He offered to form a team with 14 fans. One of his prerequisites was that you were to be new to the GISHWHES experience, guaranteeing a uniquely wonderful first hunt for a handful of lucky applicants. So... how did that go? "It's a really amazing bonding experience with 14 other people. The team I went in with this year, I made it very clear - we're casual. With that said, quickly it became so competitive with 'we have to beat Shatner - we have to beat all these other teams', so we went a little overboard even though more than half of us were working the entire time." Much like the rest of us GISHers, team Advanced Placement found that beautiful GISH family bond. "We're all so involved in each other's lives now. It's so cool. I'm going to make it a point to visit all of them at some point, and they're going to visit each other too. One thing that surprised me, I knew I was going to change 14 people's lives. That was a big goal of mine. And this is so cheesy, but... I ended up changing 15. I'm in it... really deep. It's a great group of people". Cheesy? I wouldn't say so. 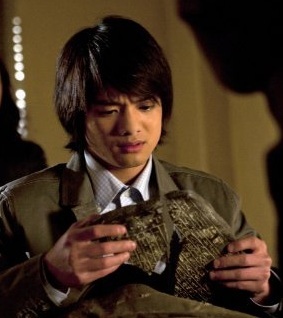 Actually, I think that is just pure Osric. Oh... and in case you're wondering if the team will be back for 2015 - Osric is planning on it! "I think next year we're gonna go for the win". The competition is something you can easily get wrapped up in when GISHing. I mean... weren't we all kind of hoping to put Shatner to shame? Lest we forget, there is more to it than the competition. Osric has a pretty straightforward answer to, "Why GISHWHES?" "I think, the purpose of GISHWHES is to give people a reason to get out there and do something that they would never consider doing and prove to each and every person that anything is possible. You look at this list off the bat and it seems crazy and impossible, but people get it done, including people that don't think they could ever do it. It just shows you that anything is possible. You just step out of your comfort zone and you cover yourself in whipped cream. Anything can be done, and you can have fun doing it. That's the brilliance of GISHWHES. It has enough clout that people will rationalize that this is important, that I can go and do this crazy thing, and have a good enough excuse to do it". From the looks of the plethora of pictures Osric has shared on his social media accounts, it appears that an awful lot of THAT happened, in fact. No one on my team was anywhere in the realistic vicinity of local to Vancouver, and although we offered eternal love and groping to anyone willing to serve as proxy, team Fanchester United missed out on this opportunity. None of us failed to take note of what an exceptional offer Osric had made, however. I had to take this chance to confirm that he actually understood how remarkable that really was. He is such a humble guy, but surely he must realize it's rather unheard of for any celebrity to offer to spend their day with virtual strangers in a park making paper mache likenesses of themselves... right? Even if he realized it, it didn't seem to matter. "I had a couple of friends who were doing it and they asked me. It's just one of those things where if I help one or two teams, I feel like I should help everyone. I don't like to be unfair. Fairness and equality are a big thing in my life, and if I do it for one fan, I should at least offer to do it for everyone". 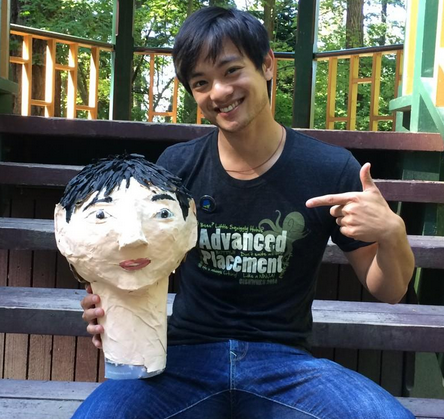 Osric had two days off to devote to his own GISHWHES mission, and this was how he spent the bulk of one of them. "Being in a place of influence where I never imagined that I would be to this degree, and there's that sense of responsibility". (I had to smile, even though I wasn't surprised when he stopped to quote 'Uncle' Ben Parker here - "with great power comes great responsibility") "It's something so small and easy that I can do that can change so much. It's up to me to do that, so every opportunity I get, I will." No one can deny that Osric does indeed take every opportunity with his fans. Who hasn't heard about this year's Comic-Con Hall H surprise appearance? I could almost hear him blushing when I made mention of all the happy fans he created that day. "I was trying my best not to tell anyone about my plans for Hall H. I had nothing to with 'Supernatural' when I was going there. I was going as a fan myself. Jensen and Jared really go out of their way to keep that bond close with everyone that they've worked with, and it's so special. I never could have expected that. And with the fans as well - just the outpouring of support and love that you hear on a day-to-day basis. It's impossible to even want to ignore. You want to do things with them. You want to interact with them. So the Hall H thing was another thing that I said I just need to do this because it will be so awesome. It was something so stupid and simple, but it was like - I need to do this". 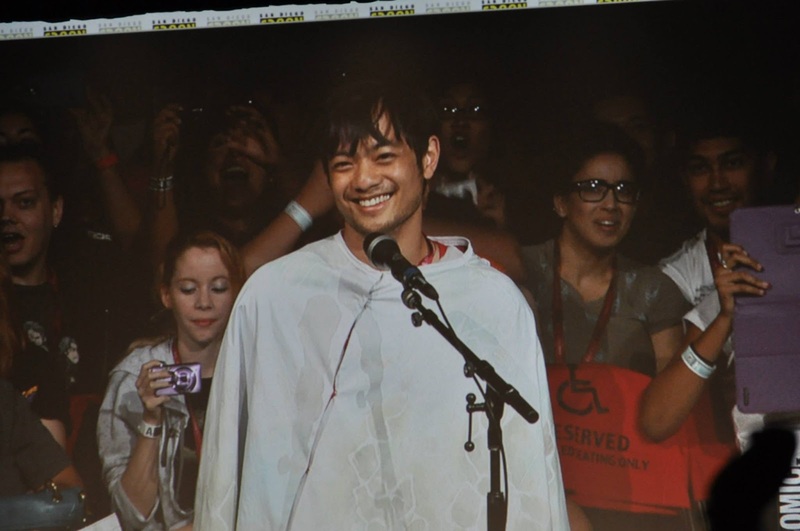 Originally, Osric didn't even have plans to attend Comic-Con. Attendees have Jensen to thank for setting that in motion. "There is no other show that I've ever worked on or even heard about that has the passion that the fans of Supernatural have. I did 15 episodes. I don't know - it doesn't feel like a lot, but it easily changed my life. Comic Con was one of those things. For any other show, I probably wouldn't have been involved at all. But I was in town and I get this text from Jensen". Jensen invited Osric out to dinner, and the next thing you know, an anxious, nearly sleepless Osric was happily plotting his Hall H coffee delivery with Misha Collins. That's just sort of how it goes with the "Supernatural" cast, isn't it? I pointed out to Osric that the list of famous faces at Comic-Con is endless, but the "Supernatural" cast seem to be the ones that consistently go that extra mile. Do they really enjoy the con scene as much as the fans? That can't be a clever PR gimmick, right? It's all genuine, says Osric. 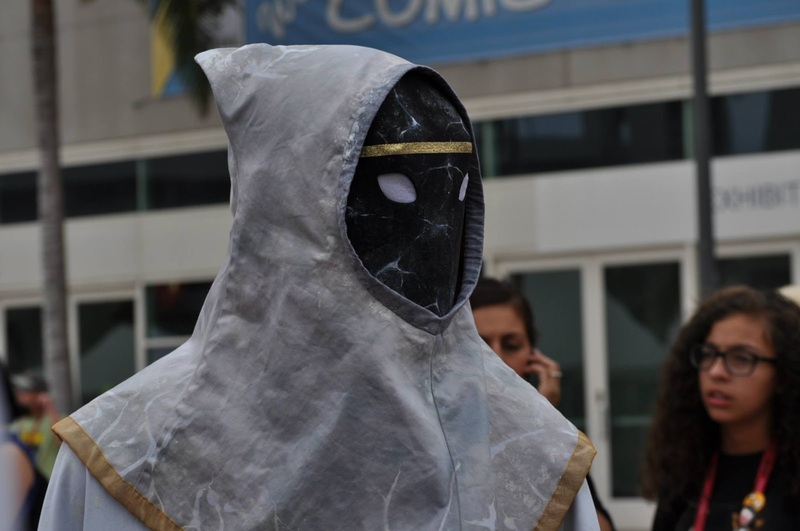 "Before I did my first convention, I wasn't on board with the idea of conventions. My agent had to sell me on it. Signing autographs, taking photos - I'd do that stuff for free in a heartbeat. It's weird to charge. It wasn't until I got on that stage the first time that everything just started clicking, and once I started doing the costumes... It takes a lot of time to prepare, but it gives me this nervous energy. Vancouver-Con is in two weeks and I'm already feeling the nerves of it. I love that energy. I still feel nervous to go up on stage. Almost as nervous as some of the people who come up to ask a question. I love that excitement." The "Supernatural" family are indeed famous for that ongoing familial bond. With that in mind, and confirmed by Osric, it stands to reason that he may have some insider advantages with the cast and crew. I know I can't resist a sneak peak when the opportunity arises, but it seems that Osric has more self-control than I do. "I do have a lot of friends on the crew, and cast as well. I could ask, and they would tell me. I mean they're not supposed to, but I could easily pry for information, but I feel like now, I kind of enjoy just being one of the fans.... Most of my friends in L.A. are really dedicated Supernatural fans... it's weird knowing things and not being able to tell them, so I prefer just take ignorance. And when I watch the episodes every week, it's a surprise. I much prefer the surprise than ruining it for myself". Naturally, even Osric can't resist checking in on the family on occasion. "In terms of hanging out, when I'm up in Vancouver, I'll probably visit every now and then, but as much as they fool around on set, they are still working, so you don't really want to go and disrupt the work place that often". I assume by "they" he could easily be referring directly to Misha Collins, Jensen Ackles, and Jared Padalecki. They are known for on-set pranks, and Osric admits to falling victim a time or two. In his own humble way, he resisted the urge to retaliate, leaving the hijinx to the veteran thespians. When dealing with that trio, I can't say I blame him for playing it safe! 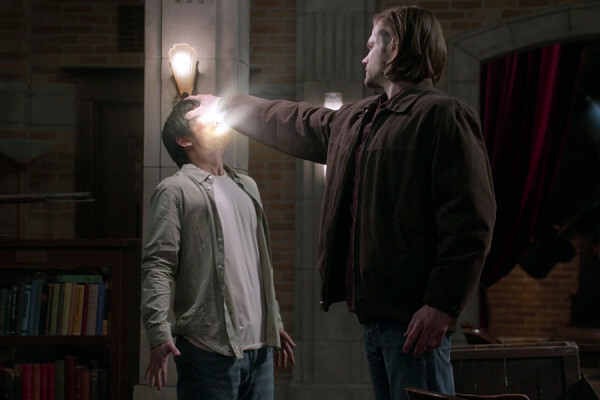 Considering that Osric pleads ignorance in terms of "Supernatural" season ten, but is still following the show with the rest of us, he was free to theorize on the direction of the 'Demon Dean' plot twist. Actually, he was all too eager to share his opinion on last season's jaw-dropping development. "Knowing this show, he's not going to be Demon Dean for long, but I really hope they keep him for half the season at least, because I really love the potential of Demon Dean. Yeah, I like Demon Dean. I think they can do so much with that. I just hope they keep it, hopefully, for at least five episodes... longer than one episode, I'll say". My bigger concern right now, quite frankly, is... can Kevin make his way back to the battle, the bunker, and the Winchester boys? After all... he is still technically present, regardless of his current form. While I thank the writers for giving us a more pleasant parting than I originally feared we were left with, I think there's a lot more usefulness left in Kevin Tran! "I would love for Kevin to re-emerge. It really depends on which way the storyline goes. I guess I won't even have a clue really until I see the first episode, but if they go back to the Heaven storyline, I would love for Kevin to be in Heaven and wreck some havoc up there. Before, his usefulness was for reading the tablets. If there's any business in the afterlife that the guys can't get to, well Kevin's there, and that would be cool. I don't want Kevin on the show just for the hell of being on the show. I want him to be useful, so if he can do something for the boys in the afterlife, that would be pretty cool". I have to agree with that. We haven't been graced with Kevin's presence since February, and I'm having trouble seeing the team as being complete without him. 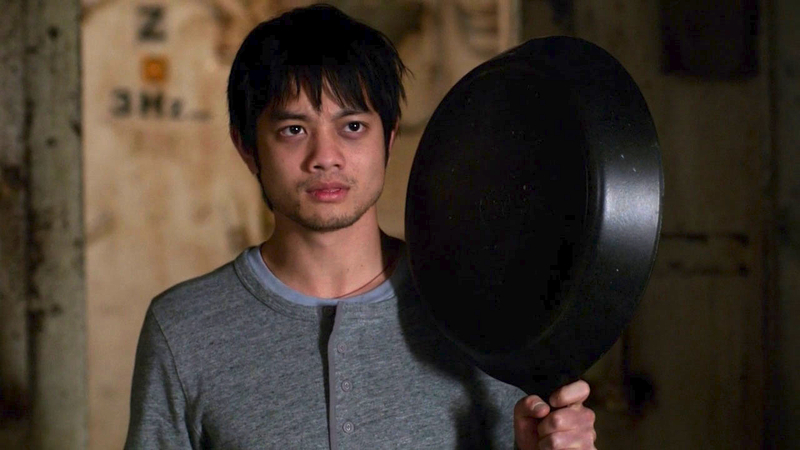 Osric may be quick to point out his relatively short run on the show, but I can hardly remember our team of hunters without Kevin Tran. Speaking of that thought, have you ever wondered who Osric would love to portray on "Supernatural" if Kevin hadn't come to be? "Crowley! Crowley's my favorite character. Between Crowley or Dean. I love Crowley as a character, but I would love to be Dean just so I could do some fighting". But to stretch the boundaries just a bit, I asked Osric for his ultimate wish in terms of his film/TV career, if a genie were to grant him that desire. "I've always wanted to be a super hero. I don't have to be Iron Man or Spider-Man... well, Spider-Man would be pretty cool... but, if I could play like Iron Fist or Shang-Chi or any of the heroes I did read growing up, that happen to be Asian, that I could really be that guy one day. That would be pretty cool. But even in this day and age, it's still tough for the big studios to kind of accept a minority lead, so if it gets to that point, I would just love for them to be open to the idea of a Chinese guy playing another Chinese guy. Does that make sense? Though they shouldn't just be Chinese guys, but with a name like Shang-Chi, it's kind of hard to get around". Mama Tran = Lauren Tom. Oh, I miss her. I'm going to see her next week. You never know how an interview or encounter with a celebrity may go. There is always that chance that your praise and devotion have been unjustified and your image of a once-loved public figure may be totally blown. Then there are those personalities who only endear themselves to you all the more... and for entirely different reasons than they did prior to your encounter. I can safely say that Osric Chau is one of those endearing personalities. As much as I respect him as an actor, I now respect him even more as a person. And, in case you're wondering... the cookies came out great, too! Follow Osric Chau on Twitter and Facebook!